Happy St. Patrick’s Day to all of my fellow pasty Irish folk! I hope your Guinness and corned beef are abundant today! Oh Smitten Kitchen, you get me. 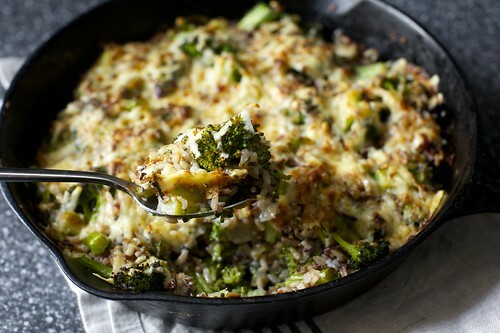 This Broccoli, Cheddar, and Wild Rice Casserole looks stupid good. If you haven’t watched Neil deGrasse Tyson’s version of COSMOS yet, you must. It is engaging, inspiring, and brilliantly reimagined. 13 episodes, Sundays on FOX or can all be watched online. Sup3rfruit covered the whole Beyonce album in 5 minutes and it is utter genius. Need any last minute St. Patrick’s Day DIYs? Sarah Hearts has a few that are really cute! When the going gets tough, what makes some folks bounce back while others fizzle out? It probably has something to do with these four habits of extremely resilient people.